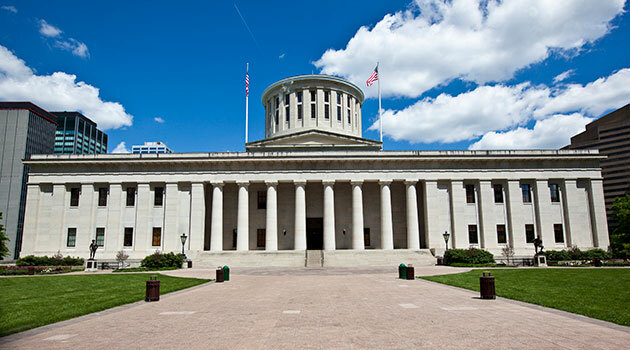 Bills circulating in the Ohio legislature in Columbus would reduce the amount of driver's license suspensions in the state. In 2016, about 12% of Ohio's driving-age population experienced a driver's license suspension. Considering skipping a court date, missing a child support payment, or dropping out of high school in Ohio? Better think twice—these are all examples of non-driving offenses that could result in a driver’s license suspension. In 2016, 1.1 million Ohioans had their licenses suspended—that’s almost 12% of the state's driving-age population, according to the Bureau of Motor Vehicles. Additionally, those with suspended driving privileges usually have to pay reinstatement fees ranging from $40 to $650 in order to get back on the road. Now, the state’s legislature is working on a few different bills that could reinstate driving privileges for some, help them avoid reinstatement fees, and avoid future suspension issues. Ohio Senator Jim Butler (R-Oakwood) and Representative Emilia Sykes (D-Akron) proposed House Bill 260, which will differentiate non-driving offenses from driving offenses in regard to license suspensions. Drivers barred from the road as a result of a non-driving offense would be allowed to drive to work, school, and appointments (such as doctor’s visits) if this law passes. “It defies logic that you would take away their means of getting to work so they can earn money to pay their child support, or their court fines,” Butler said in his bill testimonial. Two other bills dealing with similar issues have also been introduced: Senate Bill 160 would give judges the opportunity to assign community service instead of a reinstatement fee, and House Bill 336 would give certain drivers the ability to pay reduced fees—or no fees at all. All three bills are awaiting votes.